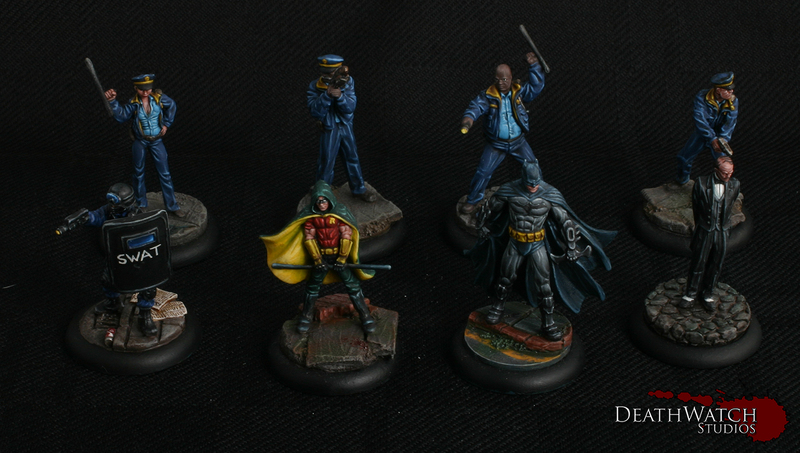 Knight Models – Batman Crews! 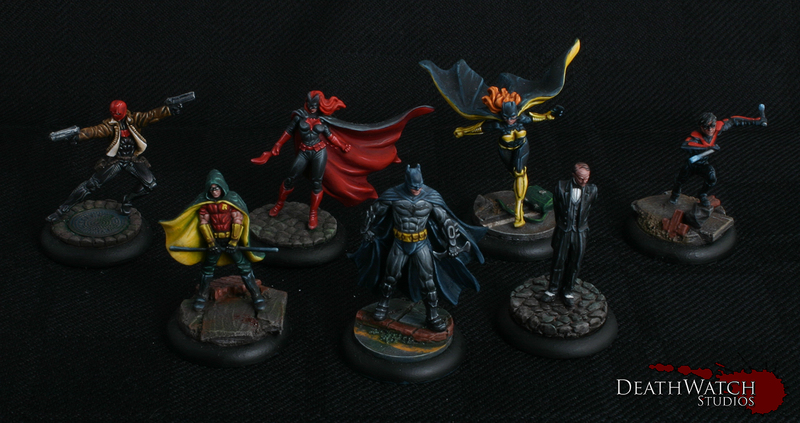 I’ve painted a fair bit for the forces of good in the Batman Miniature Game now and wanted to show off some of the Crews I have put together. The first is a nice and simple Batman & Robin based crew, with as much GCPD back up as I could fit in and, because I adore the mini, Alfred is there to keep an eye on master Bruce. This one is based around the Robins; Nightwing, Red Hood and, well, Robin with some GCPD back up and again Alfred keeping an eye on things. Both of these are standard tournament sized crews (350rep) as I like to make sure that’s what I’ve got to play with once I eventually get to playing the game. Although the first few times will be with a little bit less than this. 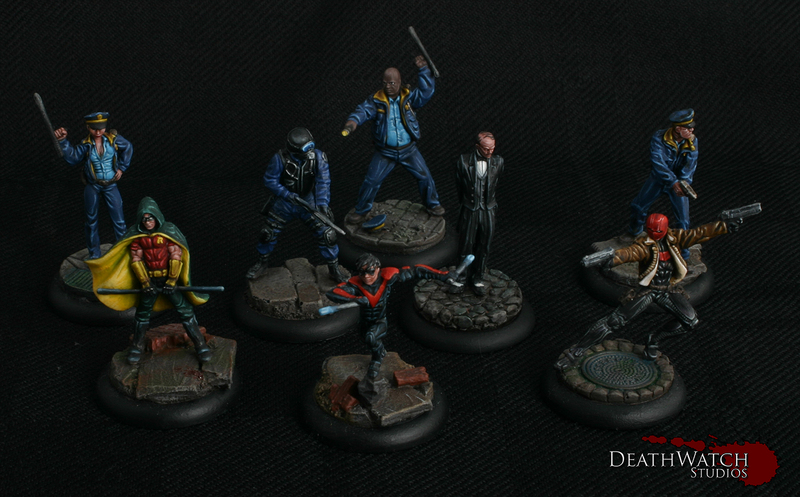 ← Knight Models – Red Hood Joker & Alfred!